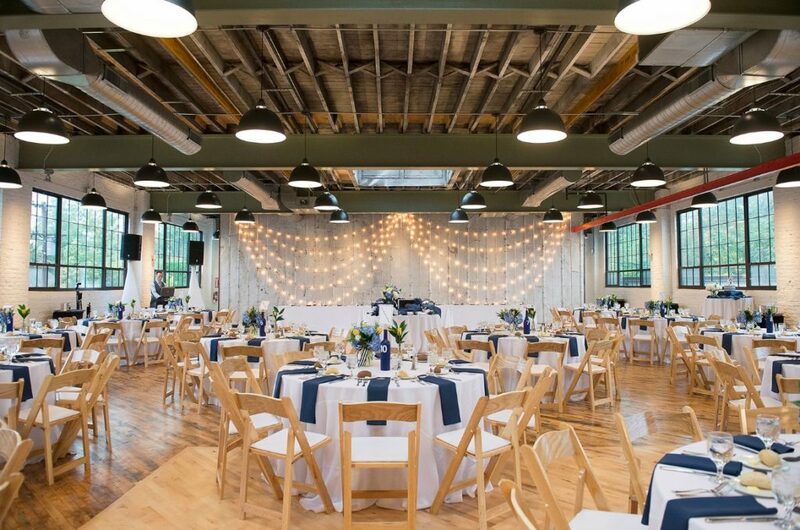 Patty and David took a huge risk planning their wedding in a building that was barely starting to be transformed from a car dealership to a new unique event venue when they booked the space. 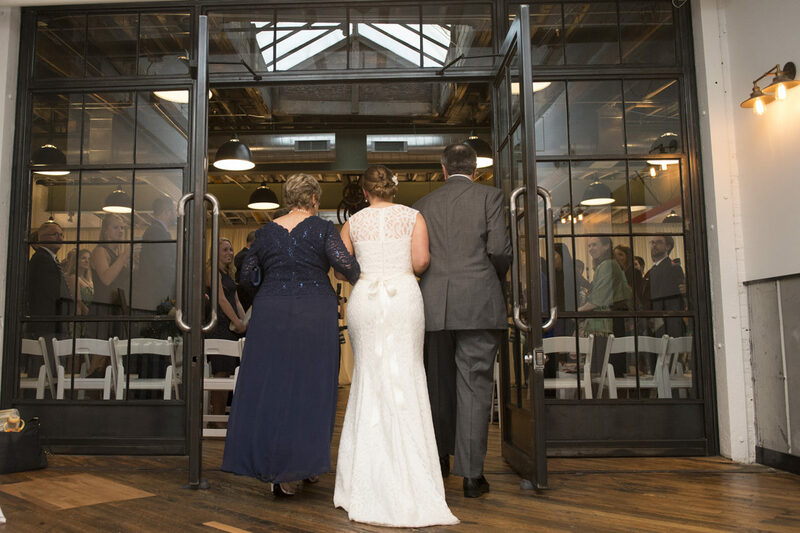 Their gamble paid off in a big way as they were able to have the first wedding ever in the Accelerator Event Space at B-more Kitchen. 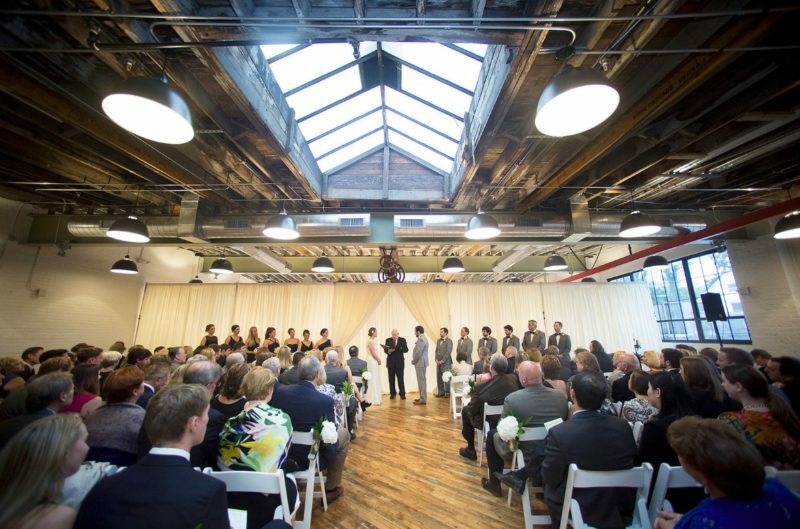 Located right off Northern Parkway, B-More Kitchen is a gorgeous addition to the Baltimore Wedding Venue scene. 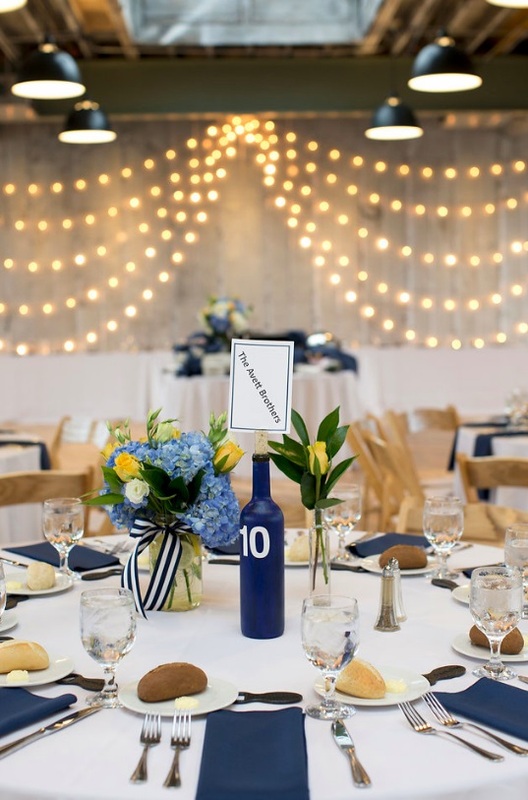 With both indoor and outdoor capabilities, the rustic charm was the perfect backdrop for Patty and David’s special day. The dreary weather did not dampen any of the love and happiness of Patty and David’s wedding day. 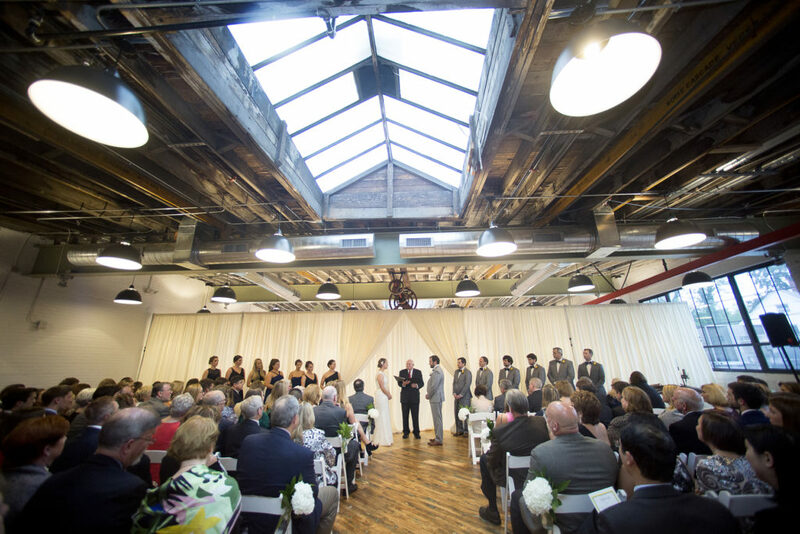 The venue was perfect, the indoor ceremony was a picturesque image for their memorable “I Do’s”. Cocktail hour took place in the Accelerator Space of B-More Kitchen. Guests enjoyed appetizers that included Proscuitto Wrapped Melon and Natty Boh Cheddar Cheese Fondue. Zeffert and Gold staff passed Shrimp and Grits, Chicken and Waffle Skewers, and other delicious hors d’oeuvres. 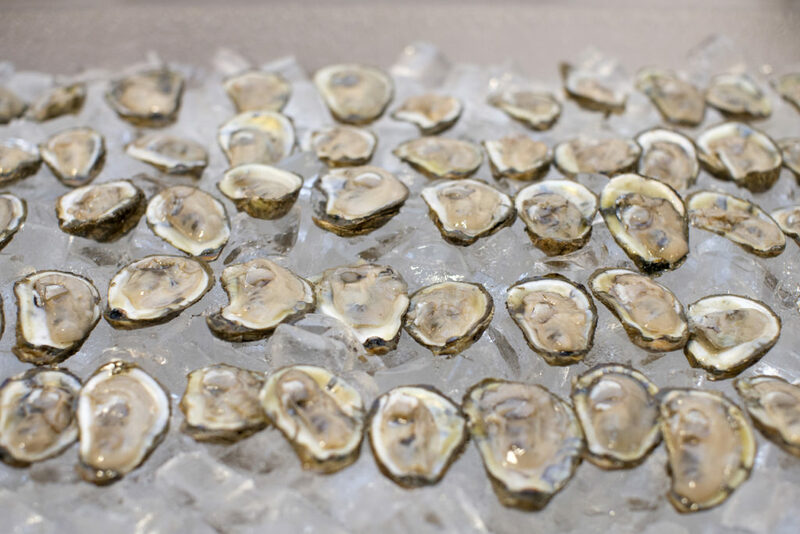 The freshly shucked Oyster Bar was a huge hit. During this time, Patty and David were able to slip away and have some adorable pictures taken around the area. For dinner, Patty, David, and their guests had the option of being served Pan Seared Corvina or Braised Beef Short Ribs. The presentation was incredible, and tasted even better! 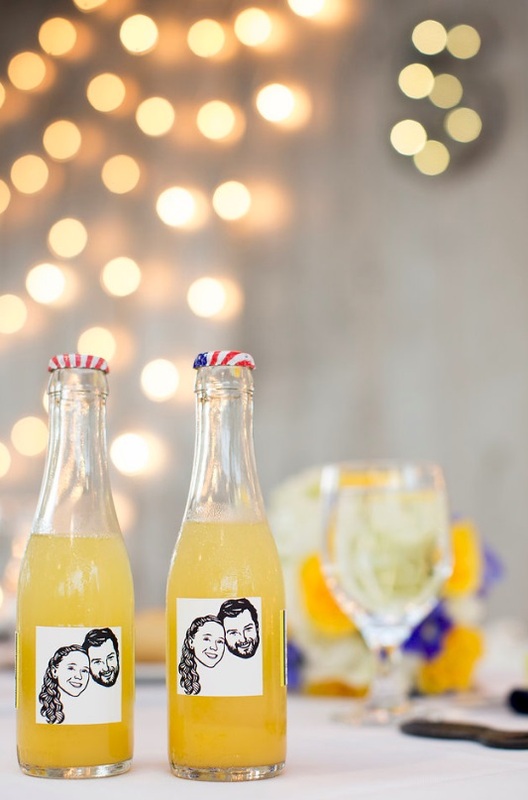 With the timely service, the couple could spend more time on the dance floor! You could feel the energy and love in the room! In addition to a beautiful traditional wedding cake, Patty and David had a Donut Station for dessert. 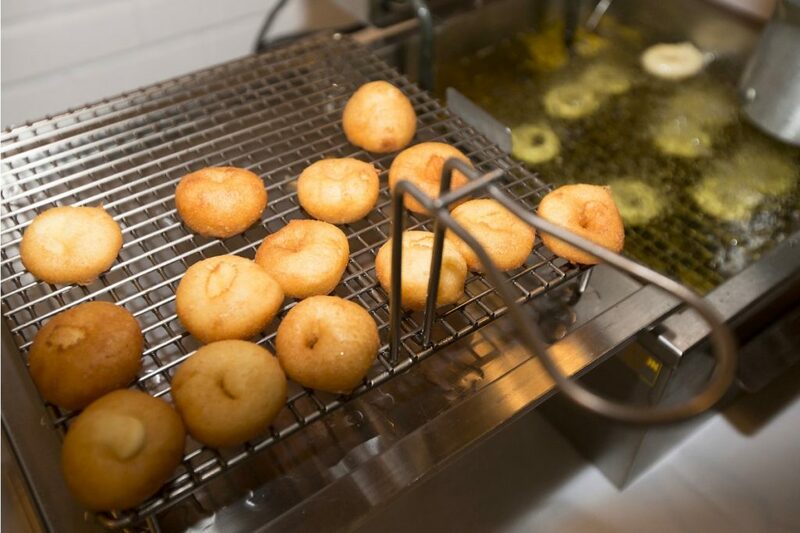 The donuts were made fresh in front of guests, and could be topped with chocolate, powdered sugar, and other fun toppings. 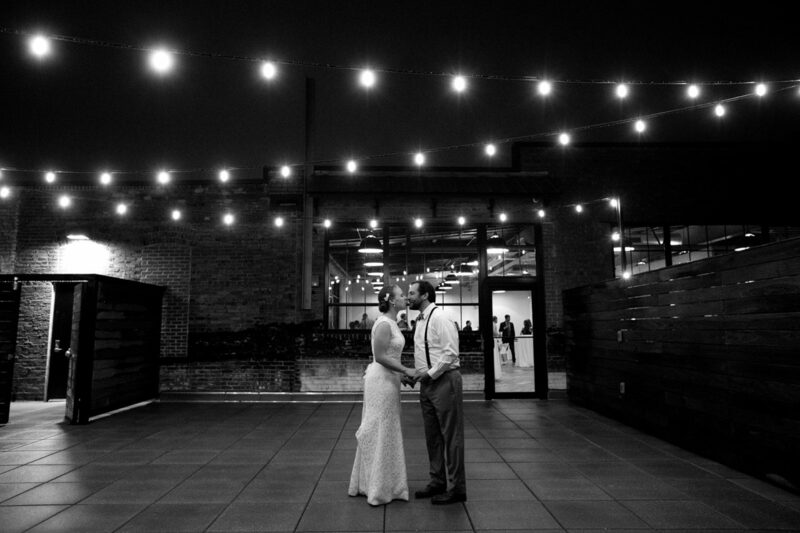 Zeffert and Gold was honored to be part of your special day, Patty and David. Congratulations again, and best wishes for a lifetime of happiness! Error: Error validating access token: Session has expired on Friday, 12-Apr-19 20:42:14 PDT. The current time is Thursday, 18-Apr-19 05:21:57 PDT.